Welcome to our dental practice in Cardonald. 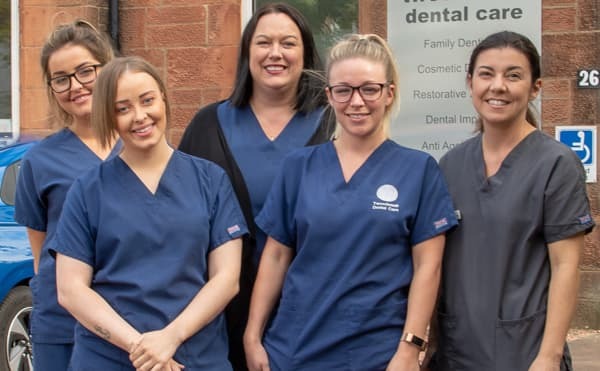 Our team provide a full range of regular dental services and dental cosmetics by appointment, from simple fillings to advanced dental implants. NHS and private treatment plans are available. We strive to provide a relaxing experience for all our patients. We understand many patients are nervous and we treat everyone in a gentle, caring manner to make your experience as painless as possible. 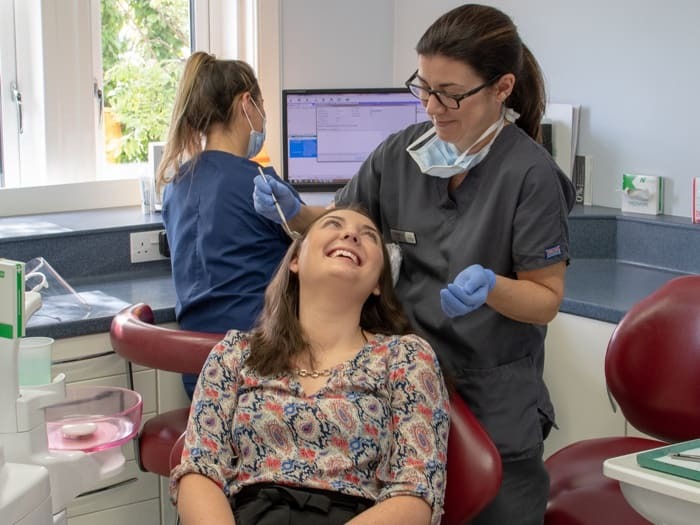 Our skilled dentists regularly attend further courses to be up to date with the latest techniques and advancements in dentistry. Your treatment plan, options and costings will be fully explained before treatment commences. This will allow you to make a fully informed choice for your treatment needs. However, our philosophy is the best treatment is no treatment and when you are dentally fit we will show you preventative measures to maintain and sustain a healthy mouth. Tweedsmuir is a dental practice in the Southside of Glasgow. You will find us at 26 Tweedsmuir Road, a few doors up from Aldi Cardonald.